Wakayama is a seaside town next to Osaka and Nara. Its famous for Onsen (hot spring), beautiful mountains and beaches. First place we decided to visit was Wakayama castle. 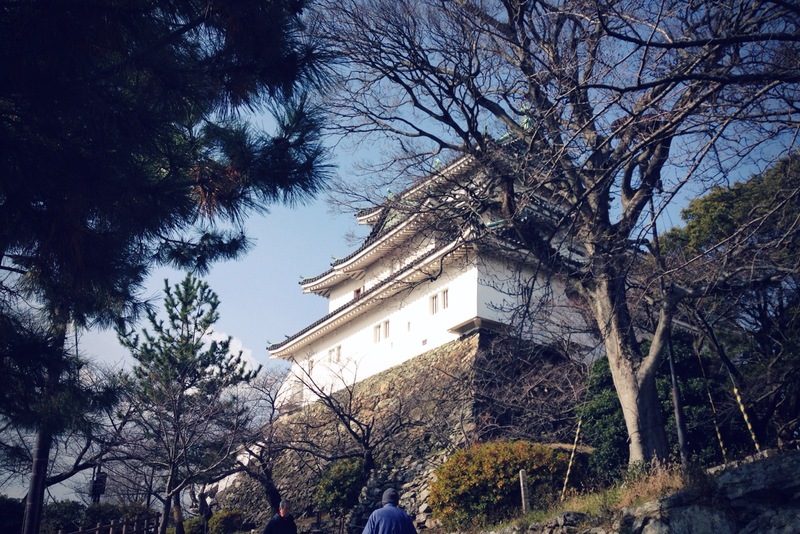 It took us about 25 minute from Wakayama JR station to the castle by walk. You need to hike uphill about 5-10 mins to take a look inside of the castle. Since there are a lot of people of all ages visiting this castle, they even prepared lots of wooden hiking sticks for the visitors. Once you get to the castle, you will see a little exhibition of tools of wars from the age of civil wars. 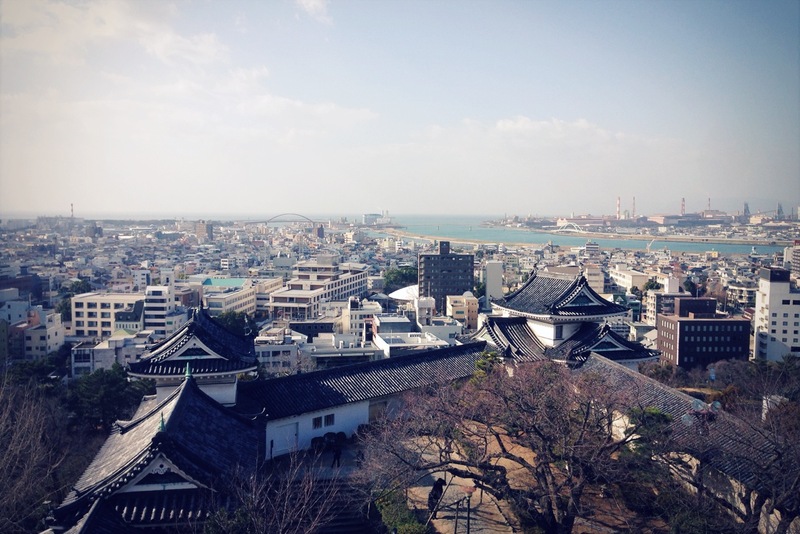 On the top of the castle, you can go outside through small windows and see the beautiful scenery of Wakayama city. its not just about tall concrete buildings but you can also see the trees and mountains and the sparkling blue sea while enjoying the fresh air. The next place we visited was Marina city. 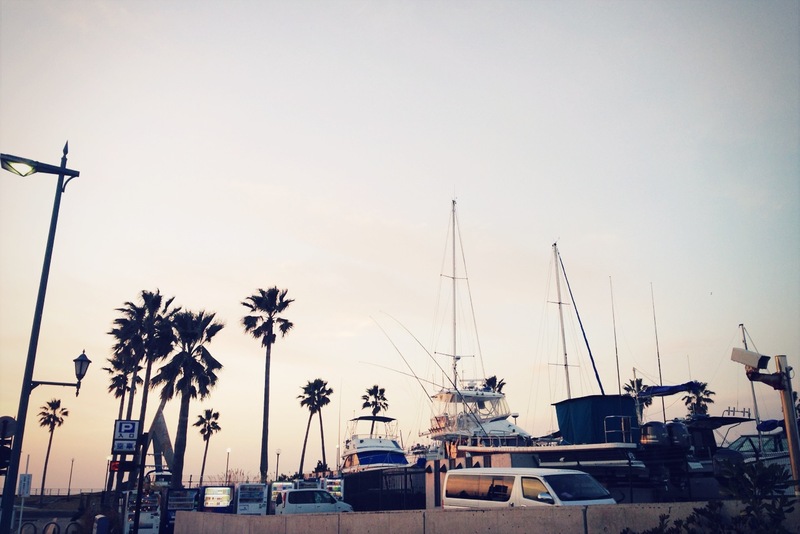 Marina city is famous for its European theme park and Kuroshio market. 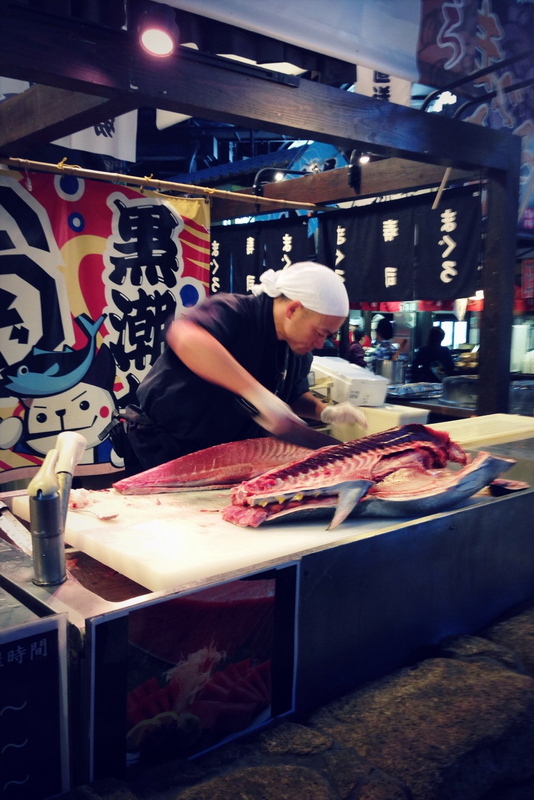 Luckily, the tuna preparation show was on we arrived to the market! since it is a rare sight even to Japanese people, there were a lot of people gathering and watching the whole big tuna being prepared by the sashimi master. 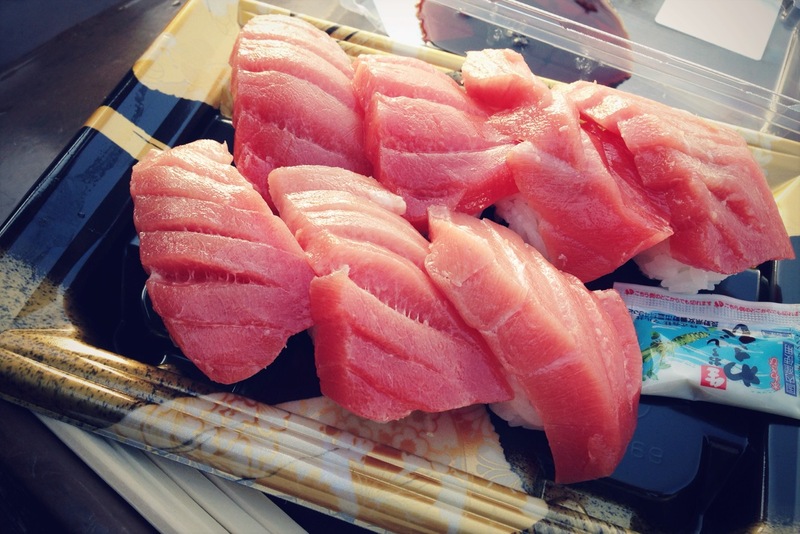 After the show is over, you can actually taste and buy the fresh tuna sashimi which has just been prepared. We bought a pack of tuna sushi. we had them for lunch outside of the market sitting on the bench while looking at the beautiful sea and feeling the sea breeze. it was absolutely amazing! After the Marina city, our final destination was Isonoura beach and awashima shrine. Since it is winter time, there were not many people visiting the beach, but there were some people surfing even in the cold midwinter weather. Awashima shrine was one of the most impressive shrine I have ever visited in Japan. You can see lots of collections of all kinds of dolls which have been dedicated from all around the world. It is also known as a shrine for women, for safe child-birth. 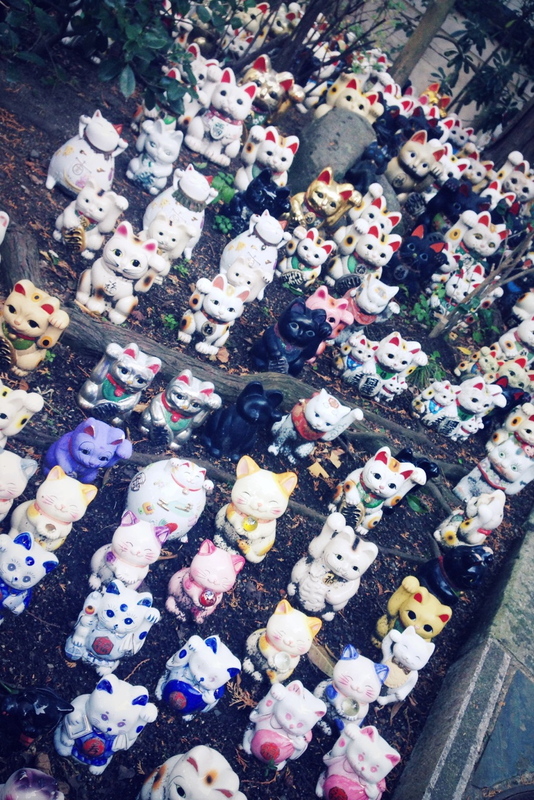 I always thought that there is something mysterious about Japanese shrines. 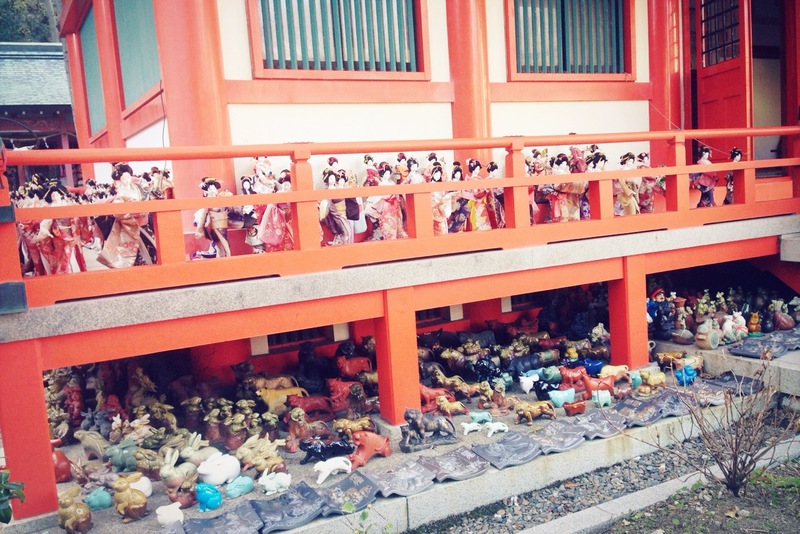 But this one was even more mysterious and mystical because of hundreds of dolls surrounding the whole shrine. 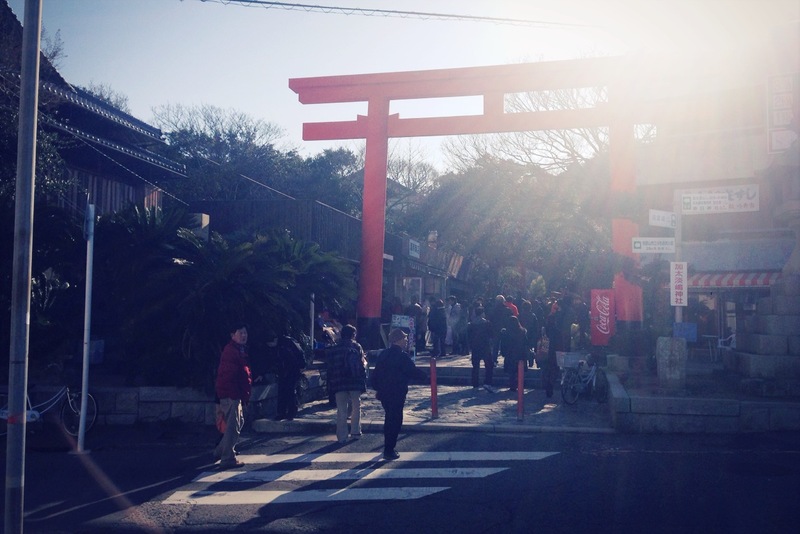 Even if you think that you have visited many shrines and temples in Japan and feel like you have seen enough, I strongly recommend you to visit Awashima shrine. Because it will be something you have never seen in your life!